It’s time to take control of your cyber risk. 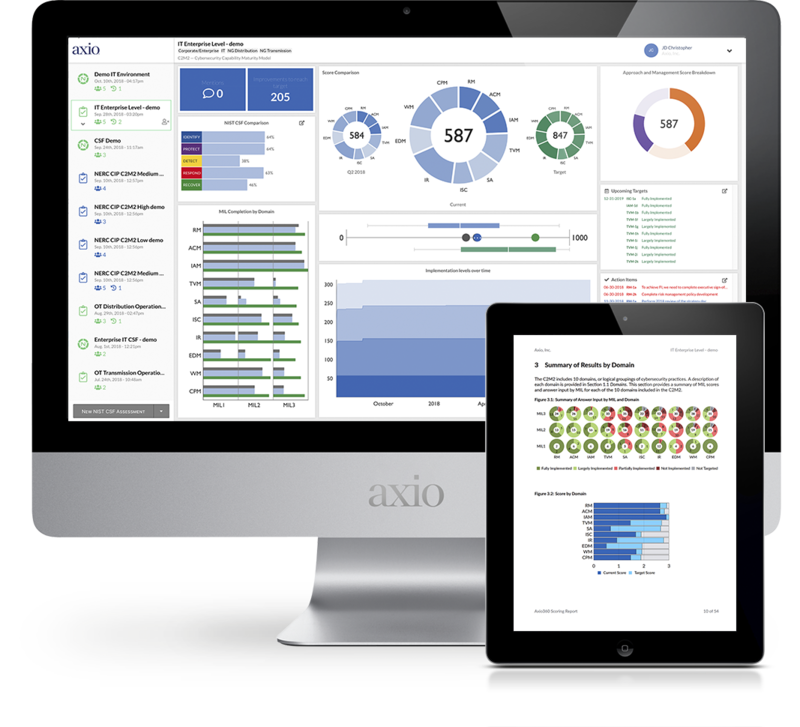 Axio introduces an innovative tool designed to give companies a 360-degree view of cyber threats, vulnerabilities, and impacts. 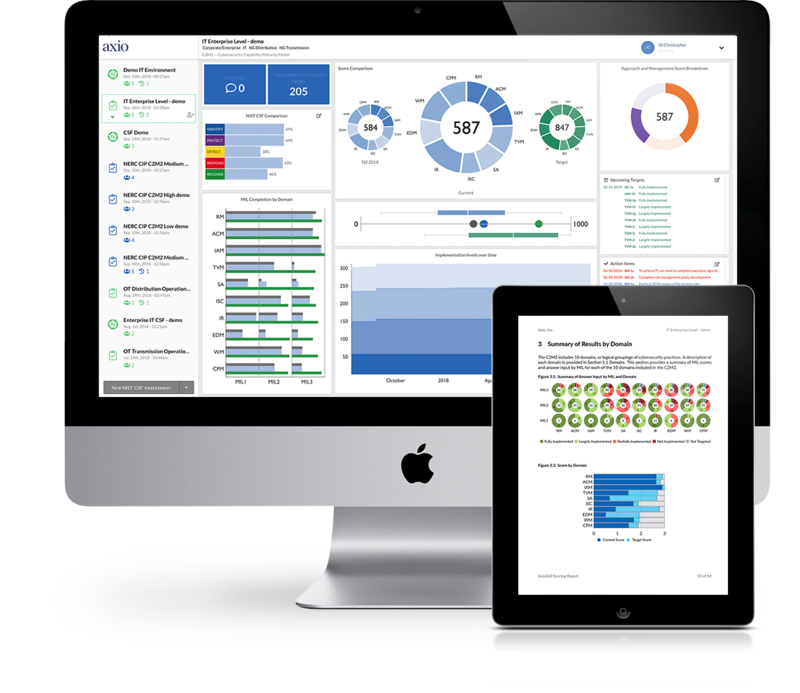 Meet Axio360, the first cybersecurity management platform that easily connects your technical program to the financial balance sheet, with actionable insights and industry benchmarking. Create a roadmap directing where your cybersecurity program is headed and track your progress. Compare your program to industry benchmarks and make the right decision for program investment. Develop the business case for sustained program metrics and future improvements. Link directly with your technical security team in a language that insurers understand. Understand and stress test your insurance portfolio against real cyber threats that could impact your organization. Gain a 360-degree view of your cybersecurity program and financial impacts. See how your program compares to your peers using industry comparison tools. Remove the technical jargon and understand your organization’s cyber risk in terms that make sense and speak to your board. Axio understands that today’s cybersecurity landscape is complicated. Build an improvement plan for your organization based on analysis of your maturity and a comparative benchmark to your peers. Confidently manage your cyber risk by linking your technical controls to financial capabilities, like insurance, and know you’re investing in both appropriately. Quantify your cyber risk and understand how it will impact your balance sheet. Axio empowers security and risk leaders to proactively manage cyber risk over time. Axio360 provides you with new metrics to track not only where you are, but where you want to be. 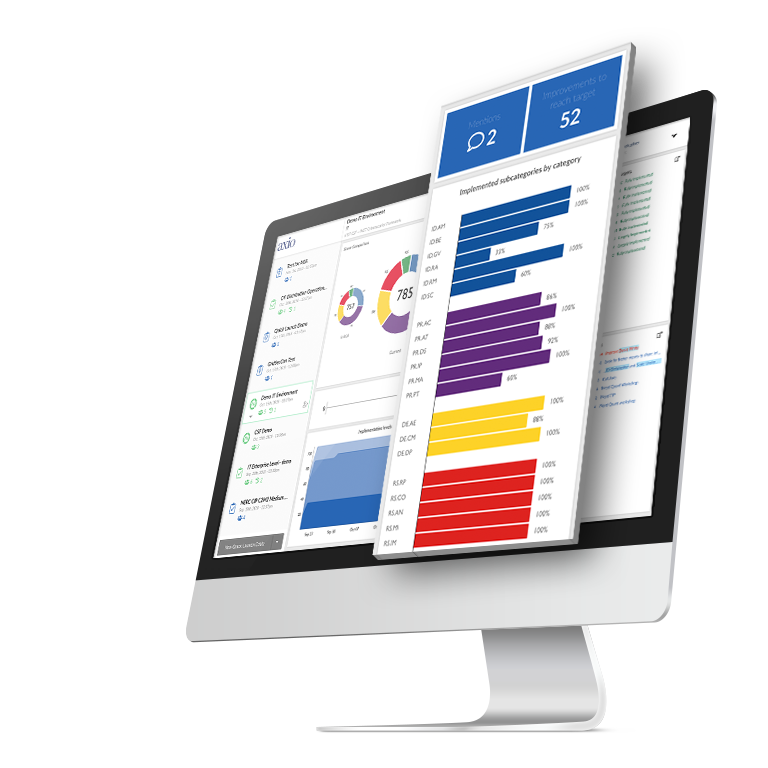 Measure your security program and exceed industry compliance standards with one easy to use tool. 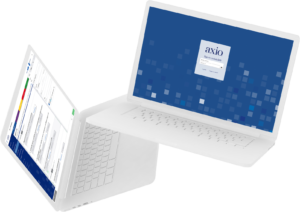 Axio360 enables detailed analysis of the costs of potential cyber loss events specific to your business and empowers you to plan for them so that you can keep the lights on. Axio360 estimates the response of your entire insurance portfolio to complex cyber events so that you can optimize protections for your company’s balance sheet.